With great disappointment, I sadly announce that “A Reason To Ride’s” founder, Tom DesFosses’ cancer is back. While Tom started to "A Reason to Ride" because he wanted to give back and raise funds for research he never made the Ride about himself. Tom founded the ride because many of us have reasons to ride. His energy and enthusiasm persuaded me to give full logistical support to the ride when I was running the hospital. 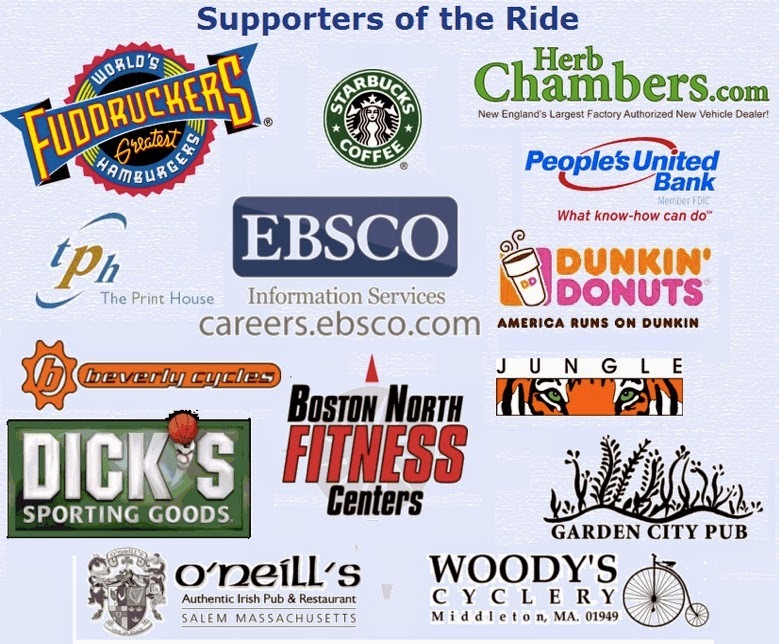 Now, the ride is run solely by Tom and his friends, with tremendous support from Fuddruckers restaurants and the other firms noted below. Why A Reason To Ride? I have a new reason, personal as it is. I have just been re-diagnosed with brain cancer. This year was to be my 10th year cancer free, but alas it came back in spades. A few weeks ago I visited BIDMC for my yearly check up and a MRI. For the past nine years we looked at the MRI and smiled and then said "See you next year." Not so this time, the cancer has returned BIG time. Since that Thursday my life has been a blur: Thursday blood work, Friday more MRI’s and body scans, Monday spinal tap, Tuesday out-patient chemo, Wednesday in patient chemo, released Sunday, sick and tired as hell up to Thursday, start the whole process again next Tuesday for at least 4 more times. Then what, probably every other month for a year and a half, then? If you’re wondering if I am upset, sure I am, because most of the research funding is raised by groups like ours and we don’t have the full support Federally to fund all the medical research necessary to find a cure. This is why I started the event and why your support is so important to OUR fight. 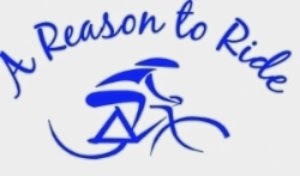 Remember, “A Reason To Ride” is 100% grass roots with 100% of funds going towards research. Finally, I’m asking for your help, not for me, but for our future. Please forward this email to your friends, ask them to ride, ask them to donate and spread the message. Yell out your reason to ride and join us on September 7 as we fight cancer together. Thanks for your time and helping us fight cancer. I am very sorry to hear this. Best wishes to Tom in his renewed ordeal.